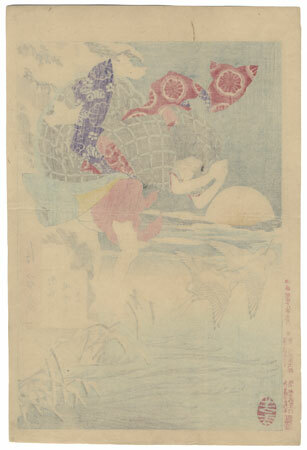 Moon of Pure Snow at Asano River - This print is considered one of the best of the series. Chikako, desperate to win the release of he beloved father from prison, commits suicide by jumping into the Asano river on a snowy night. 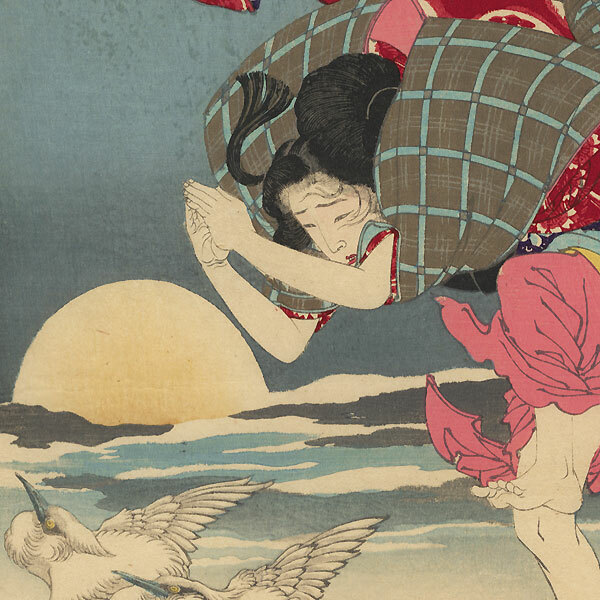 This print illustrates a true story of devotion and tragedy from 19th century Japan. Yoshitoshi's design is captivating. The strong colors of her robes contrast with the wintry white of the rest of the scene. The birds in flight are beautifully drawn as are the girl's robes and obi. 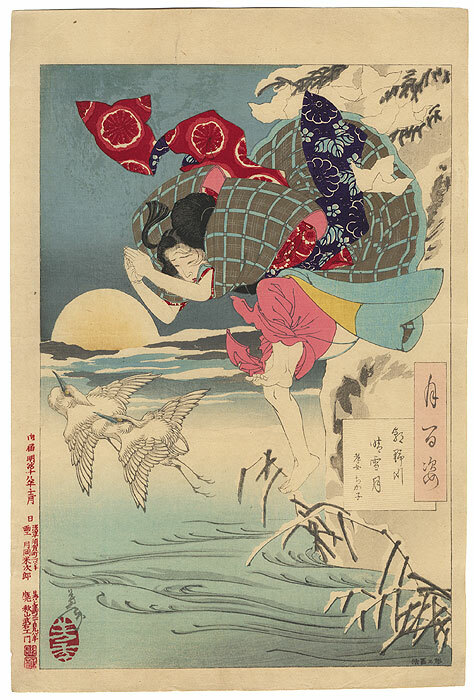 An incredible print, definitely one of the best of Yoshitoshi's career. Condition - This print with excellent color and detail as shown. A couple minor creases. Some toning and spotting, minor spotting in upper left corner. Please see photos for details. Nice overall.